Life Clinic Group announces her new, innovative service Fertility Coaching, a cooperation of innovative coach Dr. Nancy Mallerou with the outstanding Embryologist, Dr. Elena Kontogianni. This specific service consists of personal sessions and a series of seminars that will begin in autumn 2016. Fertility Coaching service covers all current issues that concerning the present and future of fertility and assisted reproduction, in an environment where progress of genetics and biotechnology is rapid: freezing ova, increasing natural fertility, effecting psychological factors and external conditions in natural fertility and artificial reproduction. 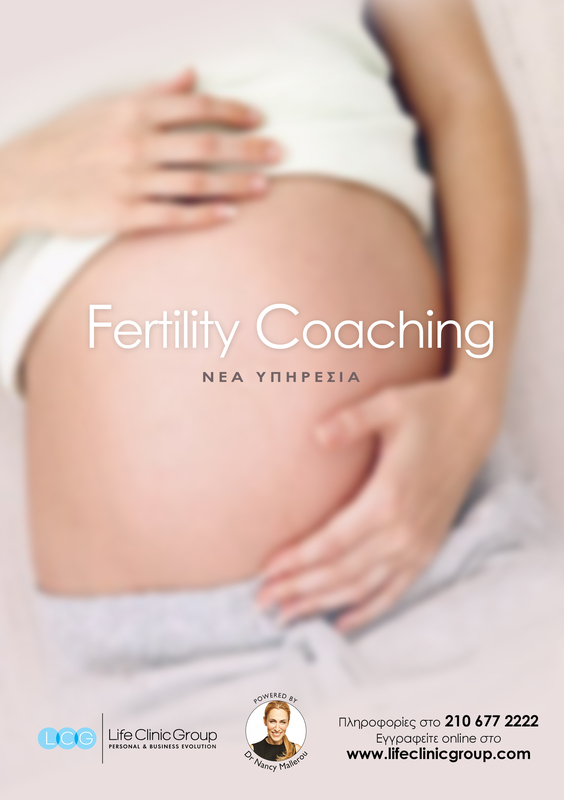 For information and expressing interest in the service Fertility Coaching fill in the form below or call us at +30 210 677 2222.